"Do you use technology (iPods, Computers, Videos, Digi. Cams,etc.) in your homeschool? " is the Blog Cruise question this week. Uhhhh, yeah, maybe you could say that. LOL! Let's take a look at some of the main things we do via technology in our schooling. Online Classes: We participate in a number of online courses. Connor takes Latin through Lone Pine Classical and has for years. In this case, he has an expert Latin teacher -- something I most certainly am not -- and gets to interact with classmates on a weekly basis. He submits schoolwork via email and by taking quizzes and tests at a site called Quia. 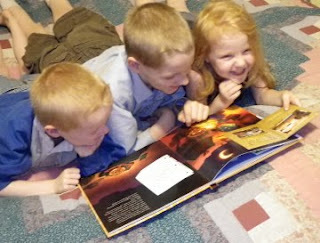 All three of my big guys are participating this fall in courses at Virtual Homeschool Group. Connor has been taking Biology there since earlier this year, but starting this fall, various kids will be taking sciences, math, and even a writing course. There are live classes where the kids can interact with classmates, and they can upload assignments like lab reports. There are also quizzes/tests. Miscellaneous others -- we have taken a number of shorter classes too. Apologia has offered a bunch of free single classes this summer on apologetics and science topics. Lukeion periodically offers a free course in subjects relating mostly to classical archaeology, and we're hoping to put Thomas into one of their 4 week workshops this year. Science Jim offers some amazing courses in science, obviously. Getting the chance to have my kids interact with teachers who love what they are teaching, and to interact with other kids from around the world in those classes? That is one of the huge perks of homeschooling in this technological age. iPod School: This is where I started with iSchool. We listen to podcasts such as Merriam Webster Word of the Day, Podictionary, and Answers... with Ken Ham. We download books from Librivox. We borrow audiobooks from the library. We own Story of the World and some Jonathan Park. We own 4-5 different audio Bibles (and are currently listening to the Word in Promise Bible as a 90 day challenge). With at least one child who is severely dyslexic, audiobooks have been a tremendous gift. We are able to continue with work that is appropriate for him, even though he would really struggle if he actually had to do all the reading. Apologia General Science, here we come... owning the mp3 of the text means he CAN take it this year. If he had to read it independently, it would be very slow going indeed. His reading is improving dramatically, but not enough to keep him working at an appropriate level in science. We listen to stuff either straight from the computer at home, or on the iPod either through a boombox or through the car stereo. We will listen to a week of history (Story of the World) on our drive to Scouts. 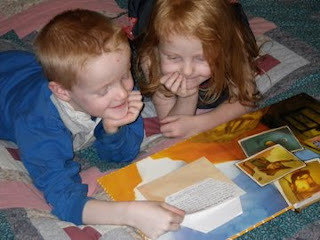 On our trip to see the grandparents next month, we will be going through a number of read-alouds. Some we own (we had subscribed to Audible -- highly recommend them! ), some from the library. Sixteen hours in a car passes much more quickly while listening to great children's literature. We've been very heavy iPod listeners since our first iPod -- a 1st generation shuffle that we got free in some promotion. A resource I reviewed long, long ago when I was just getting started on this blogging thing is Listening to Learn. I'd recommend it if you are just starting to use audio technology in your schooling. Other apps, though, that we are using in our school include pdf readers, dictionaries, a flash card program, some other math games, and Logos for Bible. Videos: We do a lot of video schooling as well. I love them for supplementing especially. Absolute favorites are the set of Electric Company DVDs, Mathtacular, Math Tutor DVD (a review is coming next week of a couple more of them, but here's a review from last year), Discover and Do Science, and most anything put out by Schlessinger Video. We also do entire courses by video. VideoText Algebra comes to mind. It may sound like we are constantly plugged in. And I do want to say that, well, some days it feels that way too. But really... the above is highlighting the technology over a couple of years for a few kids. I think high school for my children is going to be pretty high-tech, with a greater reliance on online courses, subscription-based courses, or video courses. And continued use of supplements delivered via internet, iPod or DVD. But we do read a LOT. And while some of that is via the iPod, most is not. And even with science courses online, we spend a lot of time doing real experiments. Technology gives us the chance to interact with people worldwide. Technology gives us the ability to take school on the road so we can do things like visit grandparents who live 1000 miles away. Technology gives my kids a way to work on things without ME having to do it all, and that frees me up to spend more time reading aloud or baking a blueberry pie with them. Bible in 90 Days Challenge, post regarding days 50-56. Here's last week's check in. Mondays are too crazy and I'll never check in if I wait until the kids are up and we get to listen. Monday: Read Proverbs 21-Ecclesiastes as a group. We'll start Isaiah tomorrow. I posted on Facebook about this, but it really struck me how many times it was pointed out how miserable it is to live with a nagging or contentious wife. Tuesday: It was that kind of a day. Didn't ever remotely occur to me that we were supposed to be listening to the Bible. Hit me around 5:00 a.m. on Wednesday. I listened to Song of Solomon though, early. Wednesday: Read Isaiah 1-22. I love listening to Isaiah. Friday: Read Isaiah 39-43. Ended up being a short day. I still love listening to Isaiah. This is making me seriously contemplate a reading plan I saw before where you cycle through a bunch of different sections of the Bible. I would love to be reading Isaiah more often. Saturday: Didn't read. Kids had stuff going all day. Sunday: Read Isaiah 44-66. I'd like to just start it over. There are so many so very familiar passages, you know? So, that's my check-in for the week. Bad week. Really bad week. We're supposed to be at 62 1/2 hours. We're actually at 61 hours though, so we're only a bit more than a day behind. Go here to see what others are saying. 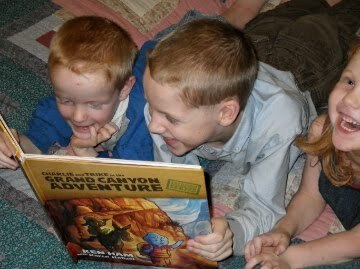 Today, I get the chance to tell you about the cutest book about the Grand Canyon. Meant for 4-8 year old, Charlie and Trike in the Grand Canyon Adventure, has been a fun book for my 4 and 6 year olds to explore... and as you'll see below, my 9 year old got in on it some too. This book is the first in a new series by Ken Ham -- The Green Notebook Series. Master Books, part of the New Leaf Publishing Group, is behind this -- so I knew I would love it, as I have loved everything of theirs that I have seen. I so appreciate having the chance to use high quality books from a creationist world view. ...or this one, on a fold-out page. And even a note to pull out. Doesn't that look fun? Do you want a copy? I get to give away... not one, not two, not even three... but FOUR of these books to four of my lucky readers. It would make a fabulous gift, or a great addition to a church library, so even if you don't have kids near the 4-8 age range, you really ought to enter. First, some ground rules. I'll need a US address only. Sorry, not my rule. One comment = one entry in the drawing. I will use random.org to choose the winners, and although you can get multiple entries, you can only win once. So if I choose someone more than once, I will draw a new winner. Tell me how cute my kids are. That's definitely worth an entry. Or which photo you liked best. Or how big they look since last you saw them. Follow me using Google Friend Connect. Go visit New Leaf Publishing and tell me which book you'd most like to own, besides Charlie and Trike. Because I need to add to my wish list, LOL. Like Master Books on Facebook. Post about this contest (with a link) on your blog, Facebook, or Twitter (one entry for each place you post). Tell me about a trip you have taken to the Grand Canyon. Or tell me about something you would like to see there. Entries must be posted by 11:59 pm MST on Wednesday, September 8. I will choose winners and notify them via email sometime on Thursday. If I cannot reach a winner, I will draw again after 48 hours. This was supposed to happen last weekend, but life got in the way. So right now, I am sitting in Starbucks -- having used the giftcard I was given with my Pampers Reward Points -- with my computer, and nobody else. Well, okay, this Starbucks is busy. Lots of other people. A lady crocheting. Two friends catching up. A couple teens who look like they might be on a morning date laughing at an outside table. An older gentleman reading. A mom carrying a child and waiting for her drink order. A couple of ladies who seem to be going over some work discussion. A husband and wife. But nobody is talking to me. Ahhhhhh. I have needed this pretty desperately. To sit, with nobody expecting anything of me at all. I don't have to point out the bathroom. Nobody is asking for another kids' cocoa. Nobody is drooling over the muffins and scones and asking why I won't buy one. It isn't like I don't have plenty of pulls on my time. I need to go through the latest edition of the TOS Student Planners and see if I spot problems. I just finished doing up draft entries for a dozen (literally) reviews I have scheduled between tomorrow and October 8. I need to work through some schedule stuff for school. I need to be planning out my Physical Science class for co-op. But nobody is interupting me. The phone could ring, but it hasn't. Nobody is touching me. Nobody wants me to tell them they look pretty (name left out to protect the guilty, LOL.) Nobody is showing me their latest lego creation, or their most recent drawing of a space battle, complete with exploding planets and crashing spaceships. Unfortunately, I did not bring my charger, and I only have another 2.5 hours or so on my laptop. But hopefully I will get plenty done in that time. I have a couple books (remember those dozen reviews?) along as well, so I may go find a shady spot in Palmer Park and sit outside and read. I have at least five hours before I need to pick up my oldest two children. They are at the home of some friends, playing some massive ancient civilization game. And then they are going swimming with their patrol. So I won't be home until, oh, 10:00 tonight. By then, I'll probably be ready for some sticky hugs. But for now, I am completely, utterly, totally enjoying the fact that nobody is invading "my" space. This is just a quick post to warn you about a giveaway/review that I'll be posting on Sunday. Charlie and Trike in the Grand Canyon Adventure is a FUN book. You can read what my friend Heidi had to say on her blog -- and she is giving away four copies of the book too! Just be sure to come back and enter MY giveaway too!! If you do some of the stuff she suggests for entering her giveaway, you'll be ahead of the game for mine... like "liking" Master Books on Facebook, or getting familiar with New Leaf Publishing. We've been planning a trip to the Grand Canyon for a long time, but never quite seem able to take it. This book makes me really want to go. Fascinating conversations are happening around here due to the story. But you'll have to wait until Sunday to hear about them (and see some photos, I hope)! Last night was the kick-off night for Cub Scouts. My cubs didn't go, which is probably a good thing, as it turns out. Connor had to be at the patrol leader meeting for Boy Scouts, and I attended the cub parent meeting. So now I have to decide what to do with Richard. He is supposed to be a Tiger this year, however I'm not sure we really can afford to do that. I knew having four scouts was going to be tough. But yikes, they are making too many changes. They are doubling the weekly den dues. Okay, that doesn't bother me a whole lot, but still... it's one more nickel and dime thing right now. And if they both go next Monday, honestly, that means I now have roughly $1.50 to spend on groceries Monday (I spent $12 last night). I thought I'd have enough to purchase eggs, maybe a cantaloupe, and possibly a loaf of bread. They are changing which awards they will pay for out of the pack, and which the parents need to cover. As in, more stuff will be the responsibility of the parents. I assume that is going to hit Webelos the hardest (Thomas, in other words). And the advancement person will be buying all the awards, then billing us for our portion. Which means I can't recycle things from big brothers (and uncle!) and will actually have to PAY for them. And with Webelos, who have to re-earn belt loops, is it going to mean that I'm having to pay for belt loops that Thomas has already earned and been awarded, but is forced to earn a second time? I don't WANT to pay for things we already own. These two will way more than double what we have to pay for awards. Or, more likely, it means I can't allow the boys to earn anything more than the bare minimum. Finally, they are increasing the number of activities happening, which obviously is going to increase costs as well. Pretty dramatically, it sounds like. I'm not sure we can do this. I think that Richard is going to have to wait until he is a 4th grader -- Webelos age -- to join scouts. I really don't think we can rationalize it with this huge of an increase in costs this year. I sat down with my older scouts last night and had a serious talk. Connor understands that he cannot attend summer camp going forward. Both boy scouts know that we are going to have to start being picky about which events they attend. And Thomas knows that just because his pack is going skating or bowling or whatever, doesn't mean he will be. So far, our approach has pretty much been -- if they are open, we are there. But even if we don't let Richard join, the cost increases for Thomas are going to mean less for my Boy Scouts. I think scouting is fantastic. You know that if you've read my blog for any length of time. But I just don't know if Cubs is going to continue to be possible for us. Bible in 90 Days Challenge, post regarding days 43-49. Here's last week's check in. Mondays are too crazy and I'll never check in if I wait until the kids are up and we get to listen. Monday: Read Psalms 21-40. It ended up being a shorter day than I would have liked. We did it in two shorter sessions instead of all at once. Tuesday: Read Psalms 41-75. We cleaned the kitchen while we listened. It was fun hearing the different actors again. Wednesday:Read Psalms 76-102. Did it in three different segments. I really like the reading plans that have you reading a psalm a day alongside the read through from front to back thing. I have a tough time listening to that many psalms in a row. Does that make me a horrible person? Thursday: Read Psalms 103-121. A bunch of pretty long Psalms in there. Friday: Read Psalms 122-Proverbs 3. It is nice to be through the Psalms. I don't like reading this book like this. If I do this again (the 90 Day reading plan), I will read two psalms or chapters of proverbs per day, with an extra one on day 90. And then allow us to miss at least a day when the kids are camping, which is usually once a month. Saturday: Read Proverbs 4-16. See, more proof I'm just a horrible person. This isn't a book that I seem to get anything out of going at this pace. I'm not doing it this way again. It just all blurs together. I like it much better at a chapter a day. And we are slowing it down and listening to 20 minutes at a time, and trying to fit in multiple times per day. I'm finding it frustrating. Sunday: Read Proverbs 17-19. I told you Sundays are impossible. So, that's my check-in for the week. Not very upbeat, is it? Doing multiple short sessions in Psalms and Proverbs is HARD with everyone. I'm going to be very, very happy to finish off Proverbs today. Go here to see what others are saying. "Get the truth behind the statistics you've been hearing and how the numbers are being manipulated, and discover what is really happening in American Christianity." If you've read my blog for any length of time, you already know I'm a geek. So telling you that Statistics was one of my favorite college courses probably doesn't shock you. I also really enjoyed my Social Psych courses, especially when we got into the idea of massaging statistics to convey the ideas we wanted to convey. Okay, they weren't encouraging us to be manipulative, rather they were trying to make us understand that we needed to look deeper at the conclusions being drawn by any study. Do the data really support it? So this book was fascinating to me. 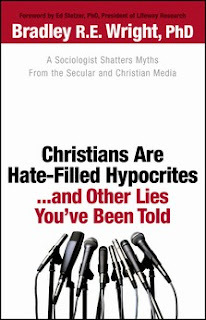 Wright goes through a lot of the statistics out there about Christianity in general, and examines if the conclusions being drawn are really legitimate. He is funny, and he usually succeeds in writing in English (instead of in jargon) which I really appreciated. I hadn't mentioned how long it has been since I took that Statistics course... and there are a lot of technical details I just don't remember. 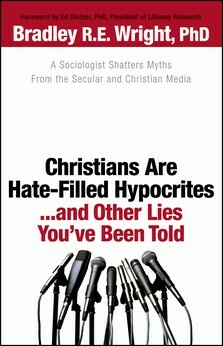 The media, and people within the church, often paint a very bleak picture. Wright goes through one fascinating chapter after another, showing where "everyone" got it right, and where the interpretations are misleading. I don't think I'm spoiling anything by telling you that "misleading" beats "right" more often than not. I loved this book. I'm planning a statistics course for Connor (possibly even this year), and this book is going to be a supplementary text. "How do you afford to homeschool? What are some ways to save money on homeschooling supplies?" is the Blog Cruise question(s) this week. Oh, yeah, a topic near and dear to my heart. I'm tackling the first question. There are a lot of places this question could take me. Why should I make the effort to afford to homeschool? How can I homeschool for less? How can I make some extra money so we can afford to homeschool? How can I cut back other expenses so we can afford to homeschool? That's not an exhaustive list, by the way, but it is what hits me the most right now. A question that is very pertinent to me right now. There are so many other ways we could spend our money, you know? And options like virtual charter schools are so tempting. For me, though, I know that homeschooling has been worth it. The other side of this is that many of the other options out there aren't exactly cheap either. Walk into Wal-Mart and they have lists posted of school supplies needed for the various schools. Some of those lists are really long, and include a lot of supplies for the classroom, not just for the kid. Then there are the fundraisers, teacher gifts, and the fact that the kids need nicer clothing (around the house, they can wear jeans with holes, or their favorite ragged t-shirt). And fees for field trips, fees for extra activities, and expensive lunches (even the reduced price lunch would cost me more than I spend for lunch at home). Add the extra money spent on convenience at breakfast. Plus the cost for doctor's visits as the kids would pick up ever bug going around. Homeschooling does NOT have to be expensive. It really doesn't. We watched Good Will Hunting quite some time ago. If you can get past the extreme amount of rough language, it is not a bad movie. The best line (which I will paraphrase as this is a family-friendly blog) came when Will is in a conversation with some ivy-league snob types. He is able to speak intelligently on a number of "educated" topics. A Harvard man expresses surprise, wanting to know how he learned so much. Will says something about eventually learning that "(you)... dropped a hundred and fifty grand on a ... education you coulda got for a dollah fifty in late chahges at the public library." (pulled from imdb's memorable quotes page). Well, I'd vote for a little higher budget for late fees, but the principle is good. There are some amazing FREE sources for practically anything you or your kids need to know. The library is a fantastic one, depending on where you live. The internet is another. Old Fashioned Education: I don't agree with everything she puts into her year-to-year plans, but she does link to some amazing resources. Sites with public domain books available, such as Baldwin Project, Project Gutenberg, and Librivox (for audio versions). At various times, I have subscribed to lots of different podcasts. Merriam Webster Word of the Day, for instance. We usually listen straight off the computer. Teacher Toolbox from The Old Schoolhouse sends something free each month. This month, it was Download N Go's Expedition Mexico. The biggest thing, though, is to research before making a purchase. Read reviews from a bunch of people. Really analyze why someone likes a product, and especially analyze why they don't. If a reviewer gives details about how they use it and what worked (or didn't) you can get a good idea if it would work for you. (This is why I give so much detail in my reviews, usually. I want people to get enough information to make a reasonably intelligent decision!) If you think you will want to hand it down, you might want to spend a bit more for new or higher-quality used. Along those lines, don't buy more than you need. If you do some planning before you start purchasing, you may be able to avoid overpurchasing. All that extra stuff is just going to make you feel guilty that you aren't using it. So don't spend the money in the first place! Why buy when you can borrow? The library, obviously. But ask around from homeschooling friends too. Even friends in your online world. Giving someone money to send you their materials, and paying to ship it back can be a lot less expensive than buying it outright. Some of the telecommuting has resulted in a real income (and real time! ), but most of the rest means I get $10 here, $1 there... but pretty soon it does add up to some real money. If you blog, you can also sign up at places like Booksneeze or Tyndale (there are links on the right side of my blog) and get some resources in exchange for reviewing them. If you are choosy and patient, you can end up with items that will be great for your schooling. Well, that could be a whole series of blog posts. But if you really want to make homeschooling work, and you have resources that you really feel you need, there is probably something you can cut. My favorite blogs to help me in this are Springs Bargains (that's local though) and Money Saving Mom. At the risk of sounding like a commercial, I have to tell you again that you can register for the upcoming Schoolhouse Expo, which is taking place October 4-8. Plus there is a session in August, and one in September. The freebies. Okay, I have to tell you about them. First, I signed up for the Live event ($19.99 if you register by Sunday) and not the Expo to Go ($14.95 if you register by Sunday). There are slightly different freebies, depending on which you get. I mentioned some the other day. Well, today I downloaded my freebies and looked them over. Normally, to be honest, with stuff like this, there are a couple things that catch my eye, and I end up actually using only one or two items. The rest take up room on my hard drive. Not this time. I'm not big into lapbooks, but the short bios of four different evangelists are definitely going to be added reading material for my son as he works through modern world history. Probably won't use the lapbook parts, but still... a great resource. Map Trek: Ancient World from Knowledge Quest, Inc. Okay, this one I was excited about before I downloaded it, and am even moreso now. The rest of their titles just went onto my wishlist. Or my must list. I love Grapevine's materials, and this one is no exception. I'll be using this in a month or so, when we get to the New Testament in our Bible reading plan. I needed something for my 6th grader this year, and from reading the introductory materials, I think this is it. Creating a story with random character/plot combinations will appeal to him. I expected to like this. I did not expect to decide I'm using it with everyone. Missionary stories from real families serving right now in Mexico, Asia, and Chicago. Stories from families preparing to go into the mission field. Oh, yeah. This one is for a far wider age range than I expected. I've mentioned once or twice that I'm not a huge fan of unit studies. I almost didn't even download this. I'm so glad I did. I wish I had owned this study when we were doing Sonlight Core 5 a couple of years ago, but we will use it at some point going forward. An awesome study about an area I'm pretty sure I haven't seen anything else for. Wow. Okay, so I was excited about this one from the start also. This book is used in Heart of Dakota's Beyond Little Hearts for His Glory, which I'm planning to use with Richard and Trina next year. Getting this book makes that a more likely possibility, as it is one fewer book I need to purchase. There are more. I haven't listened to any mp3s in the freebies, nor have I looked at any of the nutrition/cooking books. There are a couple others I only glanced at. So far. Even if I don't get to attend a single session and my iPod stops working so I never get around to listening to the mp3s of the sessions... the freebies alone were well worth the ticket price. 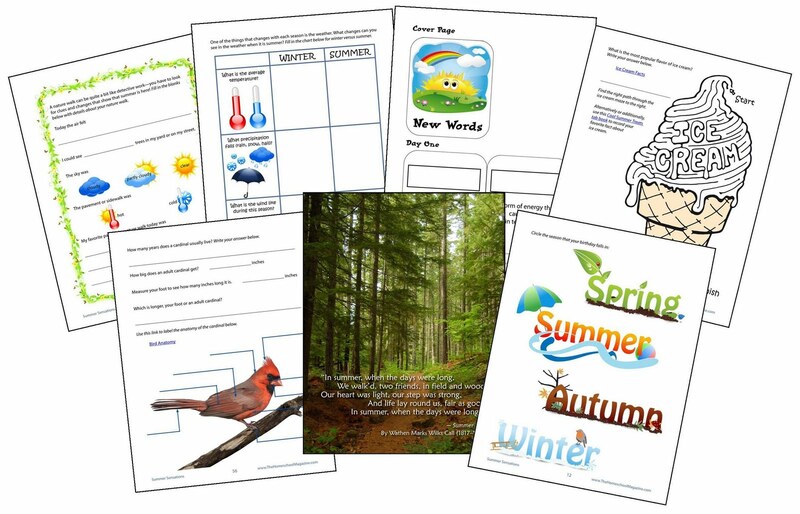 Looking for Science Resources this year? This is a totally selfish post. Totally selfish. I want to purchase Digital Frog 2.5 through Homeschool Buyers Co-op. Connor is coming up on the frog dissection unit in Apologia Biology, and I really, really want him to be able to utilize all the amazing features of this virtual dissection product. But as of right now, there are only 8 people who have put in to purchase the program, which means it is at its highest price point. And I cannot spend that right now. If eighteen more people sign on, the price for this $85 program drops to $42.50. That I think I can pay. I'd rather another couple dozen beyond that join in, driving the price to $34. August 22. That's Sunday. Gotta do it by August 22. There are other products in this group purchase too. Their Virtual Field Trips look amazing. You can get one, or a set of all three. Deserts. Rainforests. Wetlands. They look incredibly cool. Science Matrix. We actually own this one, and Connor did a lot of playing with it while studying cells a month or so ago. This could drop as low as $16. And Digital Frog, of course. You can look at much more detailed information about it here. I love the idea of being able to study the ecosystems alongside the anatomy of the dissection. And I don't have to have a dead frog in my house. Joining the co-op is free. You can go through the link on the left sidebar of my blog if you want to give me some minimal referral credit. Check it out, and thanks for putting up with my selfish post! I don't know if I will be continuing to have anywhere near as many giveaways as I seem to be having now, but Josh at Giveaway Scout contacted me about having my blog included in their giveaway search engine. GiveawayScout.com - All blog giveaways, contests and sweepstakes in one place brings you the latest giveaway promotions with products ranging from coupons and samples to high value jewelry and electronics. Giveaways have become extremely popular in recent years and thousands of blogs offer them on a regular basis. Giveaway Scout scans a large number of giveaway blogs and updates every hour with the latest offers. Hopefully, this will be a good thing!! They are encouraging all kinds of new-agey stuff that just feels WRONG for us as Christians. They rely on expensive foods. Some require expensive shakes. Some rely on lots of specialty foods. But almost every book expects that we will spend more money on a single person than we have budgeted for the entire family. They require Dale to be able to have consistent lunch times and be able to pull together complicated meals while he is at work. When I read the description for Let's Do Lunch: Eating all the Calories and Carbs you want to lose weight! by Roger Troy Wilson, I knew I needed to get this book. What hooked me the most was that this book is published by Thomas Nelson, so I had high hopes that it wasn't going to include any daily sun worship exercises. Now, I don't think Dale needs to drop 230 pounds. But he certainly can relate to Wilson far more than he can relate to many other 'diet book' authors. What did I think? Well... I think the subtitle is misleading. One major emphasis of this eating plan is that you are to eat enough to be full and not starving yourself. But he is also encouraging you to give up what most of us think of when we hear the term carbs -- no potatoes, little or no bread, no rice, no pasta. You are supposed to eat beans, peas and corn instead. He's probably right, and one thing I have always done when I am trying to lose weight is to cut bread and potatoes dramatically. Okay, we can eat the "right" carbs without counting them. But the subtitle is still misleading. The book includes the author's story, which I did find very inspiring, and I'm sure Dale will too. It includes details about his plan, including details on why. It includes tips, hints, pitfalls, suggestions for eating out, a section on stocking your pantry, and a lot of testimonials. It includes a 14 day plan, and a bunch of recipes (70+), most of which look quite good. The author recommends fruit. A LOT of fruit. If we follow his recommendations exactly in this regard, our entire food budget is going to be spent on fruit for Dale, leaving no money to purchase food for anyone else in this house and leaving no money to purchase anything else for Dale either. I may be slightly exaggerating... but not much. Seriously, I'm pretty sure that the fruit recommendations would leave us with under a dollar a day to feed the rest of us. I can't do that. The recommendation, which makes total sense, is to eat your big meal of the day at lunch. I can do that. For Dale, though, that is really challenging. Especially given that if we follow #1, we have exactly no money to spend on lunch, so we can't even adjust our budget to purchase some more convenient options for him. That being said, I'm very glad I received this book. And... with some modifications, I think we can even make this work. For instance, he does give alternatives for making dinner your main meal of the day. On those days, he has you eating something with your fruit for breakfast, which would help with the affordability. Usually, lunch is a soup/salad type of thing, which we could probably make work. I'll need to adjust my thinking about food a lot. And that will probably be a good thing. One of the best things I did for my homeschool this past spring was to attend the Schoolhouse Expo in May. I got the chance to listen to some great homeschool speakers, and I had the opportunity to interact with some wonderful fellow homeschoolers in the chats at the sessions. Besides that, I received some fun, free products, and I have the mp3 files of all those wonderful speakers so I can listen again, or listen to the ones I had to miss. Why am I telling you this? Because right now, registration is open for the upcoming Schoolhouse Expo, which is taking place October 4-8. FIVE days. Plus there is a session in August, and one in September. If you register this week (by August 22), the cost is only $19.99. This includes the live events (and doorprizes! ), the mp3 files afterwards, and over $200 in free electronic products. If you can't attend live, the Expo to Go includes the mp3 files and freebies, and it is only $14.95 this week. The speaker lineup is pretty amazing. I'm particularly looking forward to sitting down with my teen to listen to Lee Binz (about scholarships) and Hal & Melanie Young (about teens impacting their world). Of course, I'm always up for hearing people like Dr. Jay Wile (considering we'll be using FOUR of his books here this fall), Jeannie Fulbright, Dianne Craft, Diana Waring, and I could go on and on. I mentioned over $200 in freebies too. I'm interested in a couple of those too. The Missionary title from the WannaBe series caught my eye. There are books about healthy eating, making money online, educating on one income, a New Testament Timeline from Grapevine Studies, and lots, lots more. Disclaimer: As part of the TOS Homeschool Crew, I was encouraged to blog about the Schoolhouse Expo. As I have already purchased my ticket to the live event, there was no compensation of any kind. All opinions expressed are mine alone. I don't think I need any information from you besides your email address, so I will get that sent off ASAP, and hopefully you'll have your study in your inbox very soon! Thank you, everyone, for participating! For everyone but Kimberly, a good friend of mine is hosting this giveaway too, and just posted this morning. Go visit her blog and enter there! I've never had so many entries! What fun! And I was glad that random.org picked a low number so I didn't have to count very high!! I shared your blog and this giveaway on Facebook. See, sharing the giveaway is a good thing!! I'm emailing you for your address! And thanks everyone for playing! The Blog Cruise is starting up again! I'm so excited! I had a lot of fun posting on these various topics last year, and I really look forward to thinking/chatting about a lot of homeschooling related subjects again this year. 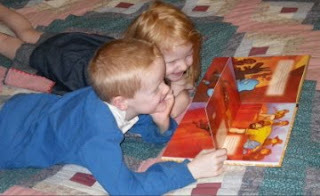 "What advice do you have for those considering homeschooling or just starting out?" is the Blog Cruise question this week. This is a tough one to give a generic answer to, you know? First, I'd want to listen, and to ask some questions. How old are the kids? What kind of educational experience have they had so far? Why are they considering/planning homeschooling? Are there specific issues that led to this decision? Do they know other homeschoolers already? Do they have anything planned out yet? What are they most worried about with this whole homeschooling idea? Because, the thing is... the stuff I love about homeschooling may not help this hypothetical new homeschool mom at all. And what I fear may not be an issue at all. I start, though, by encouraging them that they can do it. And if they are feeling like they are supposed to, then they should. Anyone who really wants to homeschool and is willing to put in some effort can do it. The biggest thing you need is commitment. And support within your family. Don't rush the academics. You can learn lots and lots by playing and doing. Grow a garden, slice open fruits to compare seeds. You can learn about 'community helpers' by being out in the community, you don't need a social studies textbook for that. It doesn't have to "look like" school to be a great learning experience. You don't need desks and bathroom passes. You might want to find a few homeschoolers you can talk to and bounce ideas off of. You probably don't need a full-blown support group. I think that can be pretty overwhelming when you are new. There are tons of resources available online. Find some resources for YOU, not just for the kids. If you go here, you can purchase 36 mp3 files of homeschool speakers for $20. That's a great start. Homeschooling K-3 does not have to cost much of anything. Put $10 in a jar for library fines. Ask for a laser printer for Christmas. Library and internet are great resources. Use them. Put off buying curriculum. Use that money for great real books, swim lessons, an art class, or just put it into an account for next year. Spend money after you have learned more about what you really are wanting. Try not to do too much. It's a marathon, not a sprint. Savor this time, really delve into what you are learning. Taking a REAL look at what your neighborhood school is doing can give you some perspective. There are going to be gaps. No matter what you teach them, no matter where they are taught, they are not going to learn everything. There will probably even be some really important thing they don't learn. But if you teach a reasonably comprehensive "course of study" they will either learn what they need from you, or they will learn how to learn it themselves when they need it. But what about the parents who are pulling their kids out of the classroom, and are new homeschoolers of middle school kids? Or even the mom who has been homeschooling and it has gone well, but as the neighborhood kids are heading to the junior high, she's recognizing that she feels like a new homeschooler all over again? What I have to say then is a lot different. First, I have never pulled a kid out of school, so I do not know first-hand what that is like. But I think with an older child especially, one of the best things you can do is to find something that they are particularly excited about, and make sure they get the chance to pursue that. In my case that means we find time to spend time with bugs, and we spend extra time on ancient history. Knowing that they get to delve into things they really like is one thing that helps keep my boys positive about homeschooling. I would think that would be particularly helpful for a child who is used to a classroom. Let them really experience one of the big benefits of homeschooling -- the chance to personalize your education and study the things you are passionate about. You probably have a pretty good idea as to what they would have been studying if they stayed in school. So, use that as a base for what to teach, adjusting as necessary. So if they have had four years of US history, and their classmates are going into year five of US history, feel free to do something entirely different. Sticking with roughly what they would have done if they stayed in school can help you to not go totally overboard and do too much. Don't overschedule. You don't have to join every opportunity that comes along. You might want to find a co-op or a support group. But be careful in doing that. There can be a lot of pressure in homeschool groups, as homeschoolers tend to have strong opinions and they generally are pretty willing to express them. If you have decided to stick with the same math text your child has been using, you don't need pressure from homeschoolers that XYZ Math is the only way to go. If you are choosing to use a grammar text, you don't need guilt heaped on you that grammar is best taught naturally. Along that line, I used to recommend going to a homeschool convention. But given some of the disturbing trends in state homeschool organizations lately, I'm not sure that is good advice across the board. There are some awesome online conventions though. I'd highly recommend checking out the Schoolhouse Expo -- tickets go on sale in a few hours (August 16 at 12:01 EST). If you can't attend live (they will sell out), get the "to go" version. This gives you the chance to hear some great homeschool speakers without much of the extremist dogma. You are going to make mistakes. You are going to spend money on that perfect XYZ Math program only to discover that you or your child hates it and nothing is going to be learned. I know it seems that high school is just around the corner, but you do have time. Analyze WHY it doesn't work, sell it to someone else (because it probably is perfect for another family) and make a better-informed decision. Consider that to be part of your teacher training expense. Along those lines... if every homeschooler you know loves something, and it doesn't work for you, don't feel like a failure. Find something else. There are probably more ways to homeschool "right" than there are homeschoolers. Find YOUR "right" way, and don't worry that it looks different from your best homeschool buddy's right way. And keep in mind that just because it works for you, that doesn't mean it will work for someone else. If your child is behind in something (all the new homeschoolers I've met lately have children who are behind in math) don't feel like you have to race to catch up. Start where they are, and start moving forward. Your 6th grader is doing 4th grade math? Great. Work with that. Make it a goal this year for them to really understand 4th grade math. Don't rush them through it. Make sure they really get it. As a 7th grader, then, they can work on 5th grade math. But a lot of that repeats what they now actually KNOW, so next year, you can probably get through 5th and half of 6th grade math. As an 8th grader, they can finish 6th grade math and probably do pre-algebra. And then they are on track to take algebra I as a 9th grader. But even if they can only make a year of progress each year... if they graduate from high school with one year of algebra that they actually understand, then they are probably ahead of many, many of their peers. They are certainly far better off than if they are pushed through, only sort of getting math, in order to "keep up" with where they are supposed to be. The other big thing I tend to talk about is how homeschooling isn't easy. Especially as the kids hit that middle school/high school age. It's a lot of effort, a lot of planning, a lot of frustration. Totally worth it. And worth sticking through those rough patches. I hate when people think that I've got it all together, and I do really try to make sure that I don't give people the impression that this homeschooling thing is all sunshine and roses. That's hard though, because it sounds so depressing. So I like to talk about how much fun I am having with my older guys too. 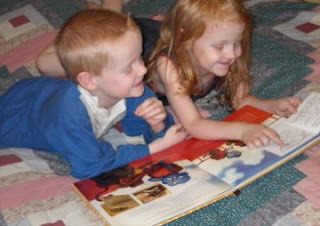 Homeschooling when they were little was fun. Challenging sometimes. But fun. 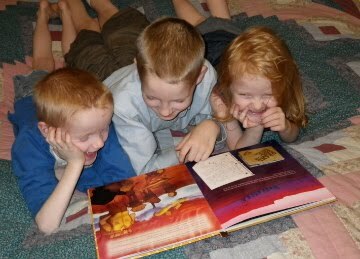 Homeschooling now that they are older is challenging most of the time. But getting into serious conversations about why the Western Roman Empire fell, or whether or not flu vaccines are effective... that is just a whole new level of interaction. And a lot of fun too. Bible in 90 Days Challenge, post regarding days 36-42. Here's last week's check in. Mondays are too crazy and I'll never check in if I wait until the kids are up and we get to listen. Monday: Read 2 Chronicles 17-34. Wow, it seems like we got through SO MUCH today. It was over 67 minutes, but when we hit that point, we all agreed we wanted to do a couple more chapters and finish Chronicles. We didn't quite get there, but awfully close. Tuesday: Read 2 Chronicles 36-Ezra 10. Ezra is a pretty short book, but I don't think I've ever read it all the way through in one sitting. Friday: Read Job 1-20. Had fun listening for the quote from our Summer study on the constellations. Saturday: Rad Job 21-42. William was pretty stressed out about some of the things that are being said in this book. 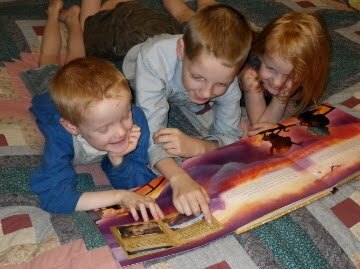 The kids loved the descriptions of the animals, though, when God spoke. Leviathan especially. Sunday: Read Psalm 1-18. A bit short today. Sundays seem to be the hardest day to do this! So, that's my check-in for the week. Go here to see what others are saying. Amish Proverbs: Book Review and Giveaway! Find out more about the book, Suzanne and the blog tour here. 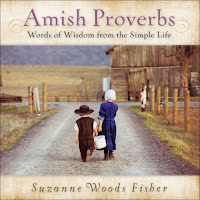 Enter Suzanne Woods Fisher's Simple Wisdom KINDLE Giveaway! To enter, simply click on the icons below to fill out the entry form, then tell 5 or more friends about the contest. Oh, and enter soon! Winner will be announced on September 1st. Join Suzanne for a Wrap-up Party on September 1st! She’ll be announcing the winner of the Simple Wisdom KINDLE Giveaway, chatting with readers, and giving away copies of Amish Proverbs and The Choice! Be sure to join us on Wednesday , September 1st at 8PM EST at Suzanne’s Author Page Be sure to check out the blog tour here or purchase a copy of Amish Proverbs: Words of Wisdom from the Simple Life ! My take: What a delightful book! Each of the eleven chapters opens with a short 'story' of about four pages, illustrating the concept of that chapter. Concepts such as time, money, work ethic, etc. That is followed by about a dozen pages, with beautiful photographs and wonderful little sayings. All of it makes you think. Some make you smile. Some were familiar to me, but many were not. I thought I'd highlight a favorite proverb from the book, but on nearly every page, I find myself thinking, "Oooh, that one is good!" and I just can't narrow it down. So, rather than a favorite, let's just pull two from the chapter on Education and two from Children & Family. Raising boys is as easy as digesting iron. So how about you? Do you have favorite family sayings? Or a proverb from your cultural background? If you want to share it here, that is one way to win your own copy of Amish Proverbs. It does not have to be original!! You can also get an entry by entering the Kindle Giveaway. Come back and post to tell me you entered that giveaway! This giveaway will close Sunday, August 29 at 11:59 p.m. MST. I will email the winner and if I do not hear back, I will draw a new winner on Wednesday. So please, make sure I can contact you! Disclaimer: I received a book for myself and one to giveaway from Revell Books through LitFuse Blog Tour. No other compensation was received. All opinions expressed in this review are my own. When the decision was made earlier this summer that Connor would be working through Sonlight Core 7 (World History) this year, we ended up purchasing an Instructor Guide from Sonlight, and precious little else. The library has the majority of the books we need, we already owned a few... and it was decided that this was going to be a year to majorly rely on our wonderful library district. You know, for roughly 2/3 of the books we'd need (I think the actual number was 31 titles). And I'd use the Amazon gift cards I was getting through SwagBucks to purchase about a half-dozen titles. I'm okay with that. It is frustrating, having to stay on top of requesting books so we'll get them "just right" -- not too early, not too late. It is frustrating having to have a pretty solid idea as to how quickly we will move through materials. But I'm grateful for an amazing library system, and committed to making this work. What did throw me was that we ended up having to use the Amazon gift cards for other stuff -- computer cords, chargers, science textbooks... and I have NOT been able to purchase my "have to buy" books. HOW did this happen? Paperback Swap is a big part of it. I earned a $25 Barnes & Noble giftcard through MyPoints, and that helped. Mostly, I think, it has to be a "God Thing." There is just no way all of this should have fallen into place so effortlessly. Download N Go. I am telling you, I am starting to really, really love these studies. My family got the chance to review the Summer Sensations Download N Go here this month, and I am so glad I chose to participate. I reviewed the Whale Tales study a couple months back, and we did really enjoy that. I'm not sure if it is the timing on it, or if I just needed to do a second one. But we are LOVING the Summer Sensations study. What is it? 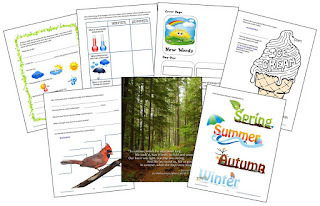 Download N Go is a one week unit study/lapbook, meant for roughly grades K-4. I'm currently doing the study mostly with my 4th and 1st graders, with the 4 year old listening in, and the 6th and 8th graders getting involved in some of the material as well. And believe me, you don't have to be a lapbooker to appreciate these (as I definitely am not), nor do you have to be a die-hard unit study person. I like unit studies as a break from our regular routine, but never could imagine doing them all the time. Download N Go may convince me though. Our favorite day has been day number two, as it had so much science! So let me tell you about what we did, and what we didn't do, just to illustrate how amazing this series is. We watched about ten minutes of videos (linked in the study) on swimming, mini golf, summer photos and the Northern Lights, and talked about four words that describe summer. We discussed the differences between summer and winter weather -- both where we live (Southwest) and traditionally. We followed links to a couple definitions of sunscreen and discussed what it is, what it does, and why we need it. We watched a few minutes of videos on fireflies, talked about them, read some articles about fireflies, watched some more videos about fireflies, read a couple books I had checked out (suggested in the ebook) about fireflies, discussed them some more, and got into a fairly extensive discussion of evolution and whether that explains why female fireflies are attracted to male fireflies who flash longer or faster. Okay, this is where the 6th and 8th graders were drawn in. Keep in mind, my family background includes a lot of entomologists, and my 8th grader is seriously considering the field. We can get into some pretty lengthy conversations about bugs... and, well, ummm, we did. What can I say? We read some information about constellations and discussed it. That led into some conversations about mythology, another subject that brought my 6th and 8th graders in. We watched more videos about Aurora Borealis. We read some articles, and watched some more videos. And a couple more videos. My 4th grader gave a pretty awesome narration about why the Northern Lights exist at the end of this. We went over some vocabulary words, practicing reading and/or writing them, and talking about definitions. 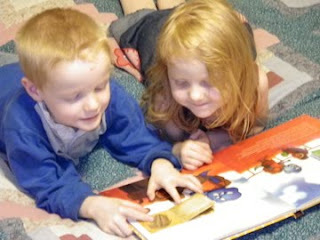 We read a couple more library books suggested by the study. There were probably about 8 lapbook mini-books or journal pages. We discussed the content instead of making a lapbook. See above picture for the types of things we skipped. There were another half dozen videos about things like milkshakes, paddleboats, etc. that we did not view. There were some coloring sheets and word puzzles and the like that we didn't use either. And I only checked out about half of the suggested book ideas. Back-to-Homeschool Sale is happening through August 15. And through August 13, Expedition China is 50% off. Edited to add: Now through August 27, you can get Expedition Mexico for FREE. I just purchased Expedition China myself. Haven't even looked at it yet. But at $3.98, well, I had to. I'm seriously considering the purchase of a 4-pack while it is 20% off. 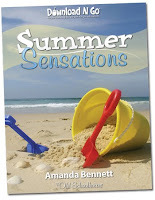 Do you want to win your own copy of Summer Sensations? This is going to be a quick giveaway, so you can actually use the study before September, if you choose. To enter, leave me a comment telling me what you think you'd like most about this study. I won't exclude you from the drawing if you say it is the lapbook aspect, I promise. Visit the Download N Go website and tell me which other title appeals to you. And why. I love knowing why. Help me decide which titles I have to get in my bundle purchase. Check out the Download N Go Facebook page and either let me know that you have "liked" it, or tell me something you learned there. Leave a separate comment for each entry, please. Giveaway ends at midnight MST, on Monday night, August 16. I'll choose a random comment, and if I don't have an email address to contact the winner, I will announce it on my blog. If you don't get in touch with me by Wednesday morning, I'll draw another winner. And if you don't want to win this title (because I know some of my readers own all/most of the Download N Go studies!) but have suggestions for me as to which I "need," feel free to comment and state that you are just commenting, so I'll skip you for the giveaway. Disclaimer: I received an e-book for myself and one to giveaway from Download N Go through LitFuse Blog Tour. No other compensation was received. All opinions expressed in this review are my own. Bible in 90 Days Challenge, post regarding days 29-35. Here's last week's check in. Mondays are too crazy and I'll never check in if I wait until the kids are up and we get to listen. Monday: Read 1 Kings 8-16. Finishing off the reign of Solomon, and was just waiting for my kids to ask why anyone would want 700 wives. They didn't. But they did talk about how all that wisdom didn't keep him from being pretty stupid. Then we got into all the stuff about all those kings. The Kings chart that Amy linked is making my kids pay a lot more attention. Tuesday: Read 1 Kings 17-2 Kings 5. The story of Elijah and the prophets of Baal is so wonderful. I don't know that I'd have the faith necessary to douse the alter with water three times though. Wednesday: Read 2 Kings 6-16. Lots of kings to go through today. Thursday: Read 2 Kings 17-1 Chronicles 3. The kids still loved doing the good king/bad king thing. The genealogies in Chronicles were a tough way to end the day, and don't make me look forward to tomorrow. Friday: Read 1 Chronicles 4-15. The genealogies go on and on and on. I had two kids fall asleep. Everyone is feeling yucky, so I let them. Saturday: Read 1 Chronicles 16-29. Sunday: Read 2 Chronicles 1-16. There seems to be more of an emphasis on the idea that if the kings of Judah were following God, things basically went well, and if they didn't follow God, things did not go well. So, that's my check-in for the week. Go here to see what others are saying. This week they are talking about WHERE you are reading. Mine is pretty boring. Almost all of ours is happening in the living room. We've listened a couple of times in the car via iPod. Nothing exciting. As we all gear up for back to school, Seventh Generation has teamed up with MyBlogSpark to help kids stay healthy and germ-free. As part of that effort, I received a "Back-to-School" kit that included a Seventh Generation backpack, two canisters of Seventh Generation disinfecting wipes, disinfecting multi-surface spray cleaner, facial tissue and paper towels. In addition, I have the opportunity to give a similar kit to one of you! So today, now that I am back to feeling better, I grabbed the disinfecting wipes and the disinfecting multi-spray and started cleaning. I have no idea if the Seventh Generation product is actually killing 99.99% of the germs, but I can say it smells nice, and the wipes are softer and nicer to use than other cleaning wipes I have tried. I feel like I've done something to help keep us healthier. So what do you do to keep your family healthy and germ-free? Let me know in the comments for an entry to win your own Seventh Generation Back-to-School kit. Be sure you leave a separate comment for each entry. The drawing will close Sunday, August 15, at midnight MST. If I am unable to contact the winner, I will announce them on here, and draw again on Tuesday if they have not contacted me. Disclosure: Seventh Generation provided me with the free product, and the gift pack to giveaway, through MyBlogSpark. I was not required to write a positive review.